Solarstone is a British musician/production/DJ team formed by Rich Mowatt, Andy Bury (1994-2006) and Sam Tierney (1994-1997), renowned for producing and releasing melodic trance, progressive house and chillout since 1994. In the past Solarstone has also been known under various aliases including Young Parisians, Z2, Liquid State, Skyscraper, 2nd Element and Sebatu as well as having produced three collaborations with Scott Bond. Most recently in 2011 Rich started the Federation project alongside Ben Lost releasing tracks on the Perfecto Fluoro label. In the past Solarstone has also been known under various aliases including Young Parisians, Z2, Liquid State, Skyscraper, 2nd Element and Sebatu as well as having produced three collaborations with Scott Bond. Most recently in 2011 Rich started the Federation project alongside Ben Lost releasing tracks on the Perfecto Fluoro label. The most popular Solarstone releases to date include 'Seven Cities', Solarcoaster, 'Late Summer Fields', 'The Calling', 'Rain Stars Eternal', and 4Ever. 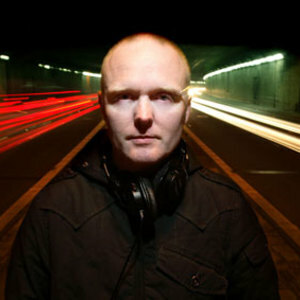 Solarstone's label interests currently include co-owning the well known Solaris Recordings, pioneering the experimental Molecule Recordings, the uplifing Crashing Waves label and the newly launched Touchstone Recordings in 2012. Past interests include co-owning Deep Blue Records (1999-2008) and running Insatiable Records, which in 2009 morphed into solarSwarm Recordings - the world's very first social network record label. Rich hosts the Solaris International radio show every week on AH.fm and accross 50 other FM radio stations. The show was previously co-hosted with Robbie Nelson of Agnelli & Nelson fame under the name Deepblue Radio Show. It has been broadcast for over 6 years and in 2012 reached it's 300th show. Un-official Last.fm group: Solar Stone.